January 1. This day is so reflective. So pensive. It’s a day when people tend to look back at the year before and think of the things they wish they could do differently, and make a bunch of pledges to themselves to really affect that change in their lives. I’ve seen a bunch of posts circulating Facebook lately where people who normally go to the gym are preparing themselves for a busy month, where those who start running or going to the gym will show up for the first month and then never be seen again. I used to be that person. I used to do something called Power Sheets. For the past two years, during my Christmas break and the month of December leading up to New Year’s, I’d sit down and do some intentional goal setting, decide on who I wanted to be by the time I was closing up the coming year, and what I needed to do to get there. I picked one word to define my upcoming year, picked some Bible verses to go alongside it, updated my vision board in my kitchen, and wrote down all my rationales for all my goals. I laboured over them in a very real way. I tracked alongside those goals all through 2017, into 2018, and then quit in March. The process almost felt ingrained by that point and I felt like I was in a head space where I could keep track of my own goals without having to tick off boxes to prove it to myself. I decided that this year will continue along the “I don’t need a book to help me set my goals” theme, but as 2018 was coming to a close I did decide there were a few things I’d like to work on. The one word thing always feels kind of cheesy to me, but it really allows you to narrow your focus down into one broad stroke where other goals can naturally thrive, rather than become overwhelming and too much. One of the biggest things I learned in my year and a bit of intentional life planning was that there’s nothing magic about any given date. There’s nothing that says January 1st has to be the day you start making changes. If you’ve stumbled upon this post in June, on a rainy day on the 17th (for example), then let June 17th be the day you think about where you’d like to be when 2019 wraps up. One concept that really stuck with me through all of that was the idea that if I have an idea of what I’d like to have accomplished by the time I’m 80, I can’t get there if I don’t make smaller goals and work away at them. I did an about-face with the way I’d been eating and treating my body on July 3rd of 2018. If I had waited until January 1st to set some “New Year, New Me” goals, I wouldn’t be down 65 pounds and considering investing in hiking shoes because it turns out I like hiking….. if there are waterfalls at the end of the hike…..
So….. I guess I’m still goal setting in a way, even though too much of it feels oppressive, but I don’t want to be left in the same place I was coming into 2019 when I get to the end of it, so it’s good to set a FEW goals. I have picked one word for 2019. I was torn. I waffled back and forth for a bit between “Present” and “Listen”. But I think that Present encompasses what Listen tries to communicate, but goes a layer deeper, which is what you’re going for when you’re only picking one word. So, to sum up, 2018 has been a pretty great year. My word for 2018 was Strength. I definitely think I’ve gotten stronger this year. Physically, emotionally, spiritually — I think all around I’ve taken steps in the right direction. Ten years ago, if you’d told me this is where I’d be though, I think I’d have been disappointed. If at 24 you’d have shown me the life I was going to have, I would have looked ahead to it with dread rather than with glee and excitement. I certainly haven’t accomplished all the things I thought I would. But I’ve accomplished some things miles beyond what I ever thought I was capable of doing, and I wouldn’t have been able to do that had I not ended up here. So, as I wander into 2019, I plan to be Present. I plan to be grateful, and to appreciate the little things that are right in front of me. That probably means fewer countdowns and less screen time. It probably means saying no more often and setting healthier boundaries — both on myself and on others. It surely needs to mean letting go of some of the anxiety I hold onto because I want to control things. And it definitely means that when I feel a nudge that I’m pretty sure is Holy Spirit trying to convince me to do something, I should listen… But all of those things feed into the goal of being Present. So in 2019, wherever I am, that’s where you’ll find me. I promise it’s less nomadic than that makes it sound. What’s your word for 2019? Do you set goals? Do you make resolutions? Do you stick to them…..
I’ve missed posting as of late, but I haven’t been able to find the words I’ve wanted to use to do it. I didn’t even do the customary “these are my New Year’s Resolutions/New-Year-New-Me/Life Goals” post at the beginning of January, because this year is supposed to be different. 2017 is supposed to be a year for Focus. Or, at least, that’s the “one word” I chose to represent my pending 2017 over the end of Christmas Break in December 2016. I embarked on this journey with a couple of dear friends of mine with an Intentional Life Goal planner called Power Sheets. Created and published by a rocking lady named Lara Casey over at Cultivate What Matters, I scooped up a one-year Power Sheets planner, and a Write The Word journal. The whole idea behind this is not to pick specific “resolutions” — I mean, they’ve all fallen to the wayside by this point at the end of February anyway, haven’t they? The whole idea is to really do some soul searching (there’s prep work at the beginning of the planner to help you narrow down the areas of your life you feel need pruning, tending, weeding, etc — if life were a metaphorical garden, I suppose) and come up with 10(ish) goals that you really want to work through between January and December. What I love about the whole philosophy that Lara Casey has laid out is the stress on Progress, not Perfection. Little by little progress. Which is good, cuz let me tell you, there’s been an utter lack of perfection on my part when it’s come to how January and February have gone — I like that I can look at where I’ve made some progress — any progress — and rejoice in that rather than dwell on the areas I haven’t met my own standards. Each month there’s a tending list — an area where you can really specifically narrow in on your goals and set monthly, weekly, and daily tasks or goals/ideas that you want to achieve. For example, in my weekly goals, I listed meal planning. I’d really like to get better at this. I haven’t gotten any better at it at all, as I sit here writing this to you on my lunch, eating unsweetened apple sauce straight up out of the jar because I had pretty much nothing else appealing to stash in my lunch bag……. oatmeal, applesauce, and two clementines. I eat like a four year old. BUT the constant reminder when I check on my tending list to check other things off that I AM accomplishing (like I’ve seen a dramatic uptick in my prayer habits, even if I haven’t seen it in journalling/devos yet) reminds me that “oh yeah! You wanted to meal plan!” So I sat down this morning and I wrote out a meal plan and a grocery list, and I will stop on my way home and pick up ONLY the groceries I need, and be ready for the week. The other thing I’m loving is the sense of community that it’s creating. I have two friends locally that are into this, and we’re helping to check in with one another, and see how things are going. There are also a couple of Facebook groups that I’ve joined since late December which have really impacted how I view this goal-setting endeavour. Modern Planner is another such site of great tips and helpful ideas that I’ve started following, and I’ve connected with Kathryn’s (the creator’s) Facebook page as well. Another feature of the planner that I adore is the reflection piece at the end of each month. Granted, so far I’ve only reflected on January, but I was really encouraged by the ability to look back over my January goals and use how I felt about whether or not I accomplished what I’d wanted to accomplish daily, weekly, and monthly to influence what I chose to prioritize as my new habits and goals in February. For example, I’d intended to write a Power Sheets blog in January……… I did not. But I knew at the end of January that for as much as I love writing, and for as little time as it would take me to knock this off, there was no reason I couldn’t accomplish this in February, so I put it back in. Now, I’ll be able to check it off of my monthly goals and celebrate its completion next week when I reflect back on the month of February. One last feature that I adore is the space to write encouraging words, whether from myself or from someone else, in and around my goals — making sure I know I’m not doing this in my own strength and that there are people around me who are rooting for me, and who want my success just as much as I want my own. It’s really encouraging me to be more mindful of the words I choose to use to describe my goals as well. Setting goals like losing weight has always seemed really daunting to me, mostly because I like eating candy and baked goods more than I like the idea of being thin. But when I can shift the focus of that goal to being more about being healthy, living a longer life, and accomplishing other things I’d love to be able to (like maybe taking some surfing lessons while I’m out West this summer — though I’m not on track for that at all lol), it seems to be easier to wrap my head around. And it doesn’t carry the weight of disappointment that not losing a specific amount of weight does. Anyway, I’m curious — have you used Power Sheets? 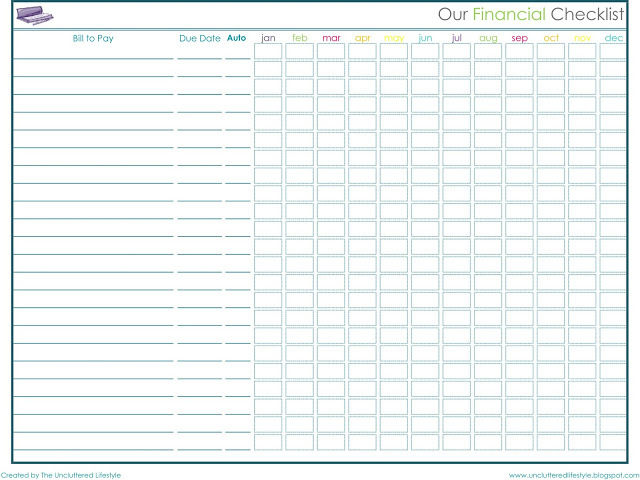 Do you use something else to help organize your life and your goals and plans? What do you do?